Amazon has been busy lately. 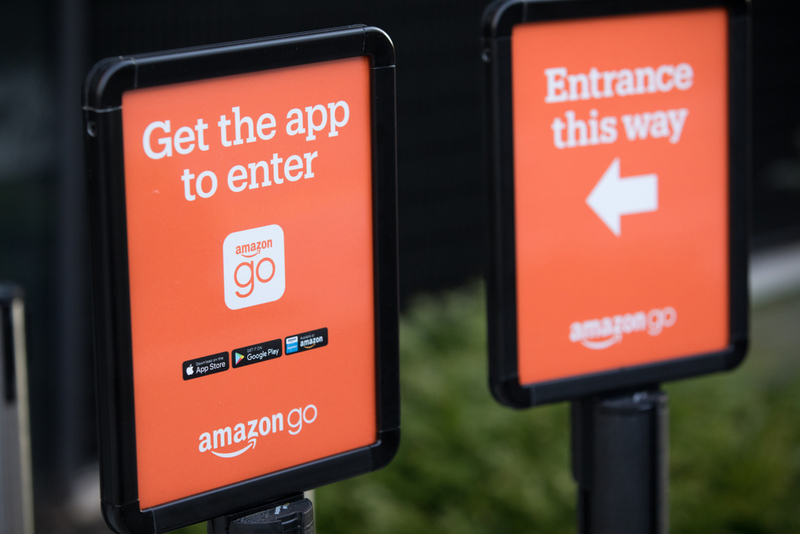 After entering the grocery delivery market with Amazon Fresh and buying Whole Foods, it is now in the process of launching its own supermarket, Amazon Go. These moves have many wondering if Amazon is about to transform the grocery business just as it did e-commerce and publishing. Actually, this is a very different market. The limited profitability of online deliveries leaves little room for Amazon to innovate and Whole Foods only attracts a restricted, wealthier market. That being said, Amazon Go might just be the disruptive force to transform the grocery industry. Online grocery delivery remains only a small part of the overall grocery market, with online shopping accounting for about 6-7% of the UK grocery market, 5% in France and the Americas, and less than 2% everywhere else. Asia is ahead of the curve, with 37% of shoppers in Asia Pacific claiming to have ordered online groceries compared to 13% in Europe. Not only is online delivery only a small part of the overall grocery market, but the profitability of online grocery is dubious. UK grocer Tesco claims 2-3% profit margins and recently implemented steep order minimum increases to firmly position home grocery delivery as a convenient and upmarket offering. Ocado, a purely online UK grocer with 1% of the UK grocery market, eked a profit in 2016 and returned to losses in 2017. In fact, its revenues are increasingly only driven by contracting out their ecommerce expertise rather than in online grocery. The logistics of online grocery make profits hard to get. The products are perishable, need to be kept chilled or frozen as they are stored and delivered, and are not very stackable. Tesco and Ocado showcase the basic approaches available for fulfilling orders. Online orders can be picked and shipped from stores, known as the store fulfillment model, as is generally the case with Tesco. The other option, as Ocado does, is to use dedicated warehouses. They both have their adherents, with the former being a bit faster (by being closer to customers) and the latter a bit more efficient (with less handling of goods). Amazon has tried to insert itself in the market, most notably with Amazon Fresh. Using the dedicated warehouse model, the effort began in Seattle in 2007 and slowly rolled out until it reached 11 cities and opened in London in 2016. Amazon has tweaked the pricing model several times and late last year announced that Amazon Fresh was shutting down in five markets. Last summer, Amazon bought Whole Foods, and it has dominated the grocery conversation since. Despite Whole Foods having less than 2% of the US market, shares of competitors plummeted 5-10%. When Amazon implemented a new store replenishment system, the system that replaces whatever goods have been sold, it almost immediately caused seemingly catastrophic results. Vendors began complaining about imposed cost increases and expectations, employees rebelled, and the availability on the shelf began to suffer. This may be the precursor to disrupting the whole market or, more likely, Amazon is learning the ropes of a new business. But as many predicted, Amazon is using Whole Foods as a platform for online grocery as well as a new pillar of its Amazon Prime program. The Whole Foods clientele is upscale and there is a natural overlap between Prime and Whole Foods. In order to benefit from lower prices and promotions, Whole Foods shoppers must be Prime members. In fact, the Whole Foods loyalty program has now been folded into Amazon Prime. This will enable Amazon to receive valuable data on its grocery consumers, which it can use to keep the best stock and predict buying patterns. The latest effort by Amazon to revolutionise the grocery industry is to leverage the Whole Foods platform and offer Prime members free two-hour delivery in two pilot markets by using the store fulfilment model. Almost no one is making money offering next-day delivery. So, to introduce that to grocery deliveries, could disrupt the market. Amazon famously operates at best at break-even for its e-commerce business (as opposed to other ventures like cloud hosting). Should Amazon demonstrate the same willingness to lose money in online grocery, its competition will come under intense pressure. Its possible that through a combination of the higher Whole Foods price points and the recent increase in Prime membership fees that Amazon sees a path to profitability. After all, in China, Alibaba is revolutionising online grocery by positioning itself as a fast, upscale alternative to normal supermarkets. The Amazon approach with this Whole Foods pilot bears some resemblance. Whole Foods stores are in dense urban areas and are in close proximity to their clientele who have more income and a taste for organic, healthier food choices. 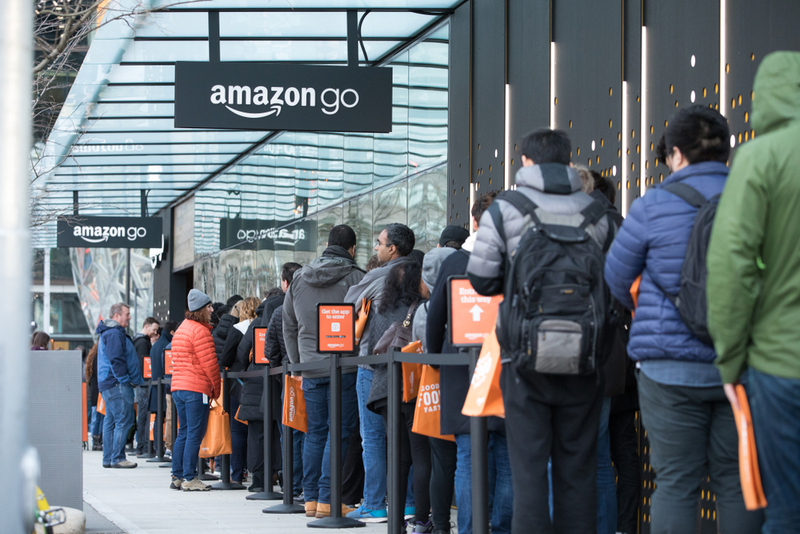 A few months ago, Amazon turned heads with the public opening of their Amazon Go store in Seattle. 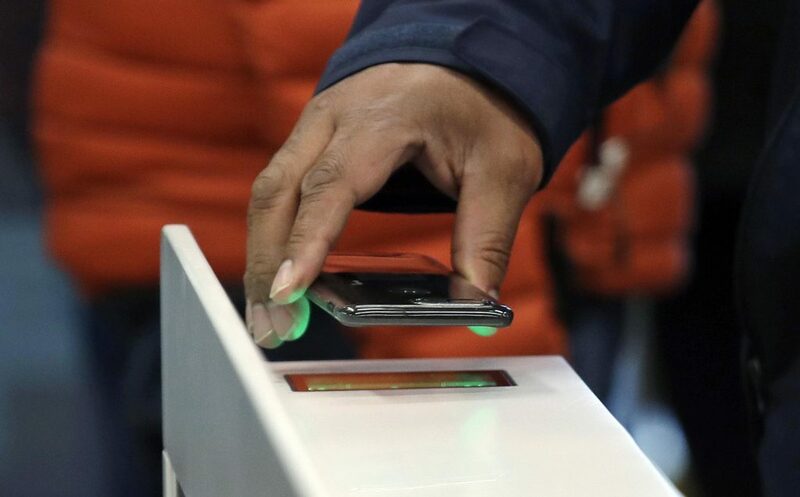 The shop has no cashiers and uses a checkout process by using technology like computer vision and deep learning to capture products customers take from the shelves. Its exciting, fun, and may be a glimpse into the future of retail as Amazon just announced it is expanding the stores to two new cities in the US. But before Amazon Go can be considered a grocery revolution, it will have to evolve its scalability. The Seattle store is a mere 167sqm with a very restrained product catalogue. For comparison, the typical US grocery store is almost 4,000sqm and offers about 40,000 different products. Amazon certainly has grabbed headlines and attention with its recent grocery moves. 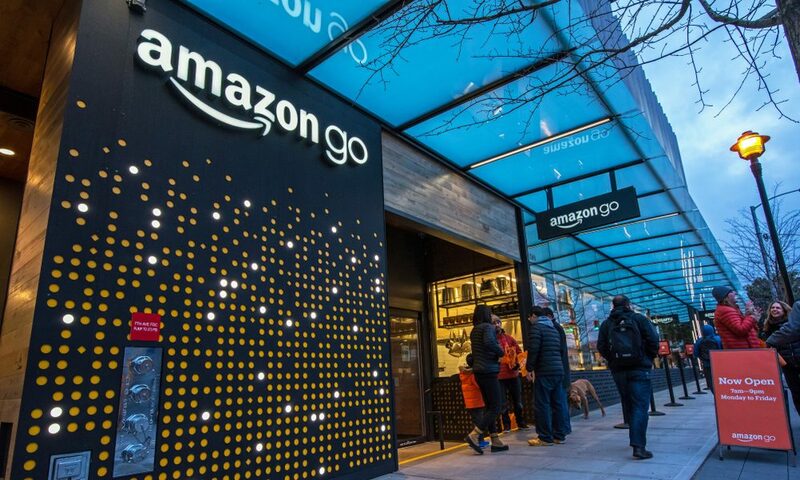 Some like Amazon Go, may prove to be genuine innovations. When looking at their recent moves with Amazon Fresh and Prime, Amazon may end up disrupting online grocery, but only for select, affluent, urban consumers. Ralf Seifert is Professor of Operations Management at IMD. He directs IMDs new Digital Supply Chain Management program, which addresses both traditional supply chain strategy and implementation issues as well as digitalisation trends and new technologies. Richard Markoff is a supply chain researcher, consultant, coach and lecturer. He has worked in supply chain for LOréal for 22 years, in Canada, the US, and France, spanning the entire value chain from manufacturing to customer collaboration.